Thank you to everyone who wished me a Happy Birthday. I was overwhelmed. I am one of those people who likes to celebrate the birthday as it is the one day of the year that is supposedly “all about you”. Eu resolvi fazer uma pausa de fim-de-semana neste adorável resort no coração do Algarve. A partir do restaurante do hotel e da piscina principal podia-se desfrutar de uma vista deslumbrante sobre a costa algarvia. Há uma praia privada com direito a sofá-cama para os banhos de sol e guarda-sóis, areia dourada e águas claras. Durante o mês de Março a primavera começa a surgir e as temperaturas começam a subir no Algarve, o que é perfeito para uma caminhada ao longo da praia seguido de uma bebida em um bar ou para desfrutar da leitura de um bom livro. A maior surpresa do meu fim-de-semana foi o jantar no Vila Joya Restaurante com 2 estrelas Michelin. Esta foi provavelmente a experiência gourmet mais incrível da minha vida até o momento. O serviço foi absolutamente impecável. Eu e meu namorado decidimos ter a degustação que combinava com um vinho alentejano. O Staff nos ia apresentando cada prato a medida que ia sendo servidos tornando a experiência muito interessante. A cozinha também ofereceu-nos um ‘aperitivos’ adicionais durante toda a refeição e os nossos 4 pratos se transformaram em cerca de 8. Eu super recomendo a todos a visitar ao restaurante – uma experiência que não vão esquecer! PS: Me desculpem a qualidade das fotos mas foram tiradas pelo meu iPhone. I took a weekend break to this lovely welcoming resort in the heart of the Algarve. From the hotel restaurant and main pool there are dramatic views of the Algarve coast and sea. There is a private beach with private sun-bathing beds and parasols, golden sand and clear waters. During the month of March spring starts to break through and temperatures begin to climb in the Algarve, it is perfect for a walk along the beach followed by a drink in a bar and reading a good book. The biggest surprise of my weekend was the dinner in Vila Joya 2 Michelin Stars Restaurant. This was probably the most amazing and complete gourmet experience of my life.The service was absolutely impeccable and my boyfriend and I decided to have the degustation with matching wines. Each course was equally delicious and the wines were perfectly matched. The staff were able to talk us through each dish and each wine just making the experience that much better. The kitchen also sent out extra ‘bites’ throughout the meal so our 4 courses really turned into about 8. 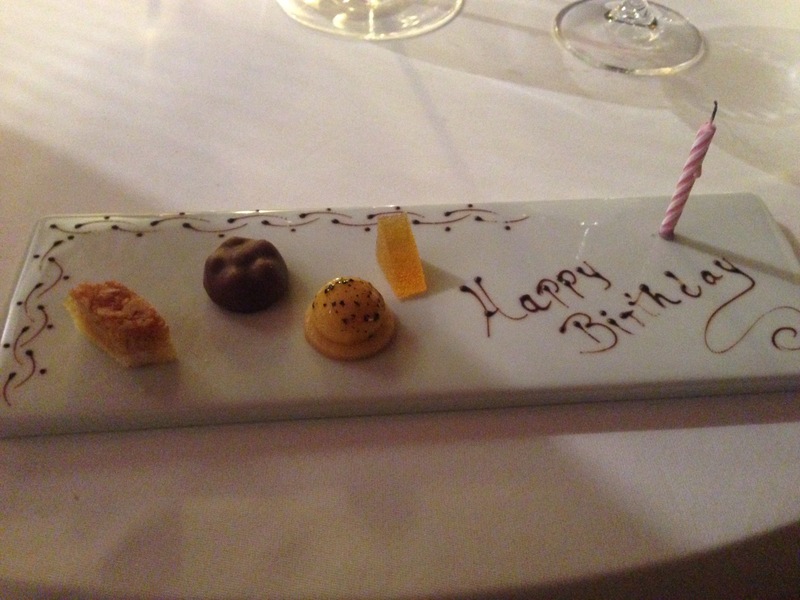 Would highly recommend anyone visiting the restaurant – an experience you will not forget! Xoxo and have a nice friday! PS: I’m so sorry for the poor photo quality but it was taken with my iPhone.